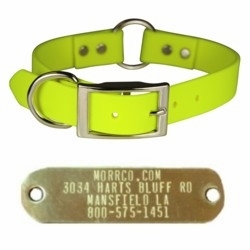 Why use a Sunglo Dog Collar with a name plate? 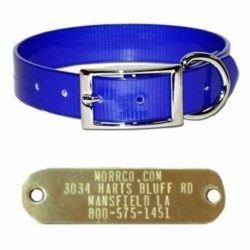 Can be cut off or add holes if needed. 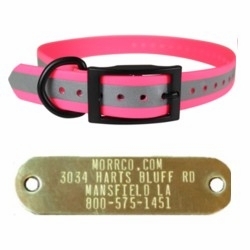 This dog collar is perfect for dogs that like to play in water and mud. 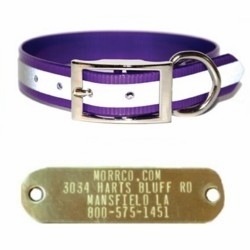 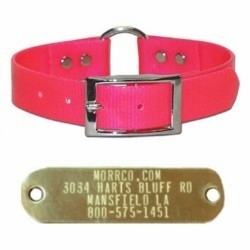 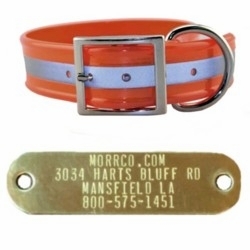 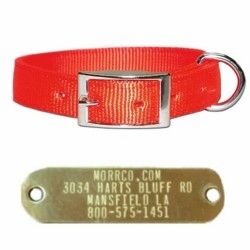 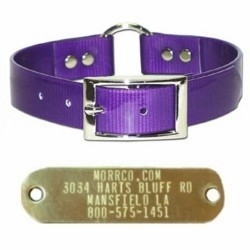 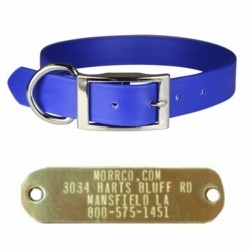 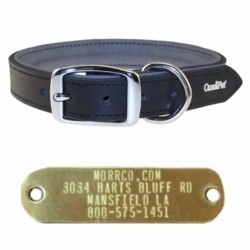 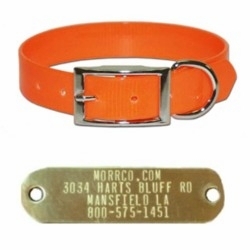 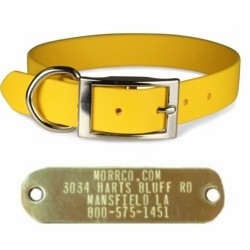 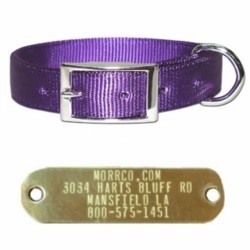 Don't let your dog leave home without a collar and brass name plate. 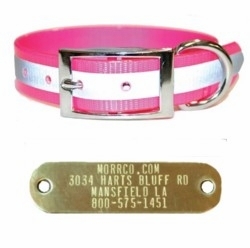 You never know when your dog will get lost and need help from a stranger. 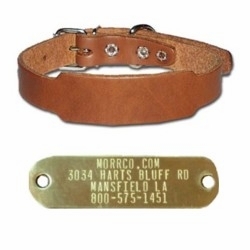 Thank goodness his id name plate has your address and phone number on it!